Well, technically it was BBC America. And it wasn't so much a Tom Brevoort profile as Doctor Who event profile. And it didn't so much feature Brevoort as it happened to pan across a crowd of people where he was standing. That's him with the tan duster and black messenger bag. 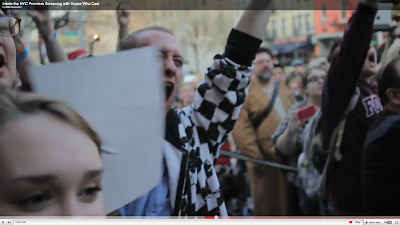 I couldn't find any other comic folks in the footage, though I know several others that were in attendance.